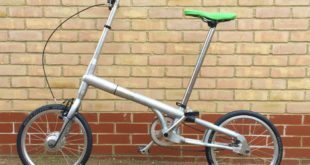 EBC has added the French folding bike label Mobiky to its catalogue and plans to debut the bikes at the Cycle Show. 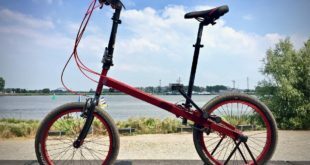 Mobiky designs and manufactures folding bikes in France which use a unique and patented ‘Genius’ mechanism that allows a bike to be folded in a matter of seconds. Once folded the bikes can also be wheeled upright (like a suitcase), making them an incredibly convenient mode of transport. The range includes both powered and non-powered bikes and all use 16-inch wheels. The series of YOURI e-bikes start with a 5.5-amp three-speed Nexus hub gear (£1,299), a midrange model features an 11-amp three-speed Nexus hub gear (£1,499) and finishes with an 11-amp, eight-speed Nexus hub gear (£1,599). The two non-powered bikes also use the Genius folding mechanism, with the LOUIS (£899) with a three-speed Nexus hub gear and the STEVE (£999) with an eight-speed Nexus hub gear. Commenting on the addition to the portfolio, Paul Stanforth, managing director of EBC, said: “These are funky little bikes, but take a closer look and they are also incredibly functional. Including both powered and non-powered bikes, Mobiky sits well in our range of ebikes. We reckon the nature of the individual design and unique folding mechanism will appeal to the commuter and riders keen to get onto two wheels where storage is an issue. To register for a free of charge trade pass, click here.